Contact Us: 310-586-2629 or info@werockthespectrumsantamonica.com | Please call for Open Play hours! *Please check our Facebook page or call ahead to see if we are booked for special events. 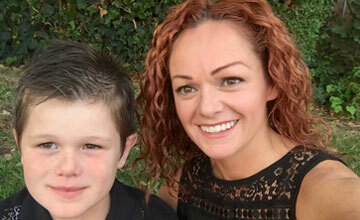 Home | Blog | We Rock the Spectrum’s 2018 Rock Walk! 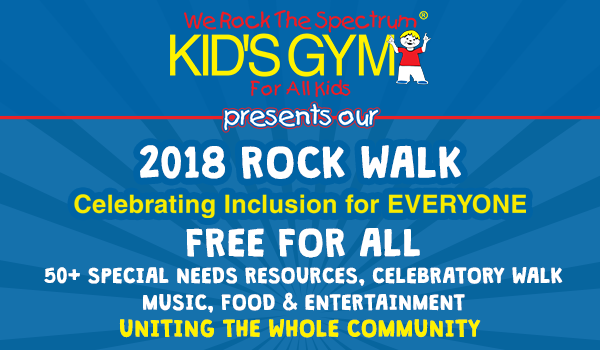 We Rock the Spectrum’s 2018 Rock Walk! Mark your calendars, We Rockers! 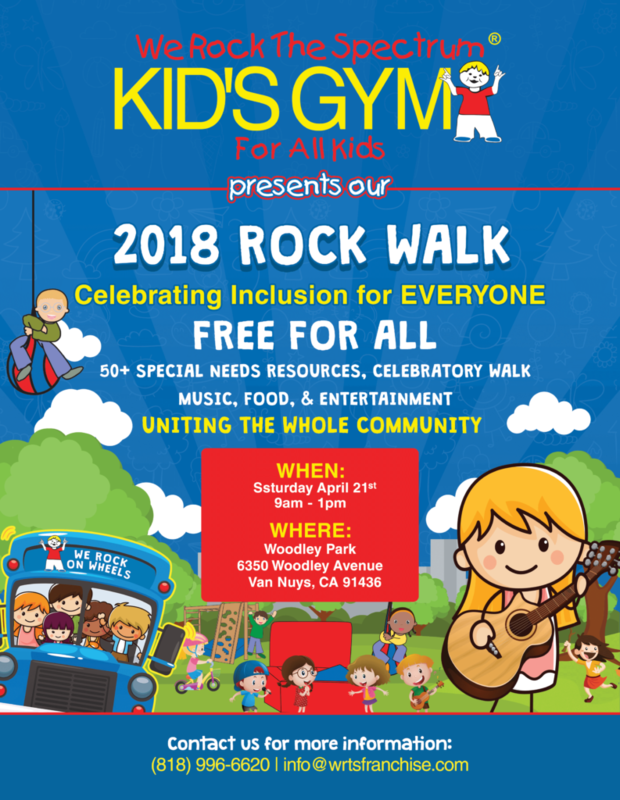 On Saturday, April 21st, join us for a day celebrating inclusion for ALL at our 2018 Rock Walk! Inspired by last year’s Rockin’ Resource Fair, this will be a FREE event for the community with 50+ full-inclusive resource vendors, music, food, entertainment, a celebratory walk and much more! You will be connected with special needs resources along with other families in the community while your kids enjoy a day of sensory-safe FUN! First 100 Attendees will receive a complimentary Rock Walk T-Shirt! WRTS Santa Monica Rock The Spectrum!